Named an NPR "BEST BOOKS OF 2017"
A mass shooting has taken place at a prep school in Stockholm’s wealthiest suburb. Eighteen-year-old Maja Norberg is charged for her involvement in the massacre that left her boyfriend and her best friend dead. She has spent nine months in jail awaiting trial. Now the time has come for her to enter the courtroom. How did Maja—popular, privileged, and a top student—become a cold-blooded killer in the eyes of the public? What did Maja do? Or is it what she failed to do that brought her here? 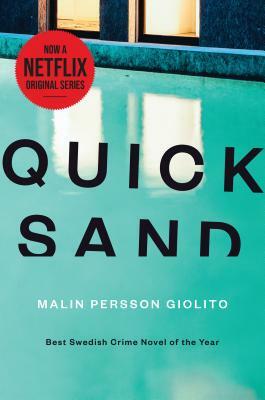 Malin Persson Giolito has written a perceptive portrayal of a teenage girl and a blistering indictment of a society that is coming apart. A work of great literary sensibility, Quicksand touches on wealth, class, immigration, and the games children play among themselves when parents are no longer attuned to their struggles. Malin Persson Giolito was born in Stockholm in 1969, and grew up in Djursholm, Sweden. She holds a degree in law from Uppsala University and has worked as a lawyer for the biggest law firm in the Nordic region and as an official for the European Commission in Brussels, Belgium. She is now a full-time writer and has written four novels including Quicksand, her English debut. Persson Giolito lives with her husband and three daughters in Brussels.